Today, it’s a must. With over 52% of global web traffic taking place on a mobile device, Google algorithms now heavily favor mobile-responsive websites in search rankings. But getting traffic is just the first step in smart responsive design. To convert that traffic, your site needs to not only scale to fit smaller screens—it must function well in those formats as well. A poor user experience could frustrate potential customers—driving them right into the mobile-friendly arms of your competitors. When designing your responsive site, remember that mobile web activity is very purpose-driven. Think about the reasons you usually search for a business on your phone: to call their phone number, look up the address, find out what they do, or make a purchase. If visitors don’t see a quick way to achieve their goal, they’ll abandon your page. So layout, color choice, graphics—everything that goes into your design—must be in service of functionality. With that in mind, let’s dive into some of the specific qualities that make for great responsive web design. A mobile screen offers a limited browsing window, so keep your navigation menu short and concise. All drop down options should fit on the screen. No mobile user is going to scroll down through a long menu that goes off the screen or includes multiple sub-menus. Your mobile menu should be a high-level summary of your site, including no more than 5-6 options featuring the most common queries or services that would bring someone to your mobile site. Roughly 7 out of 10 times you search for a business on your phone, you’re looking for either their phone number or address. Now that we can just click on a phone number to place a call with our smartphones, it’s more important than ever that your contact info be displayed prominently on your website. Include a click-to-call button in the header of your mobile homepage, verify that your Google business page is updated with accurate address and contact information, and feature an easy email submission form on your contact page. Keep in mind that mobile users are browsing with their thumbs and pointer fingers. While opposable thumbs are great for a lot of things, precision is not one of their strong suits. Make sure all buttons are big enough that they’re easy to read and easy to click on so that users don’t have to squint, pinch and zoom to navigate. Remember that mobile web visitors are usually more action-oriented than their desktop counterparts. They’re not here just to look around and take their time. They have a mission, and it’s your task to make it easy for them to accomplish it. Make your CTAs eye-catching and give them a prominent position “above the fold” on your homepage so that it’s easy for mobile visitors to take action. Getting someone to fill out a form is a fairly big ask no matter what, but especially on mobile. Keep your forms short and sweet to increase conversions. Only ask for information necessary to accomplish the task at hand. Do your very best to avoid including more fields than can fit on the screen at once. Not only do short forms ask less of the visitor’s time and effort (thereby increasing completion rates), but they also respect the visitor’s right to privacy. People tend to be wary about giving up too much information on an online form. Web users have very little patience for page load times, and mobile users have even less. Make sure that your website is capable of loading in less than three seconds regardless of whether the user is on WiFi or using data. After 10 seconds, the probability of a bounce increases 123%. How can you guarantee your load time doesn’t lag? Compress your images, avoid using autoplay video on your site and keep the entire size under 1MB. Share buttons can increase visibility and traffic, but be careful to ensure they aren’t blocking content. On smaller screens especially, share buttons can get in the way and make parts of the page difficult to read. Ensure these buttons scale properly, test them on a variety of mobile formats and consider disabling them for the smallest screen sizes. With the explosion of the mobile market, visitors may view your site on any number of possible devices. 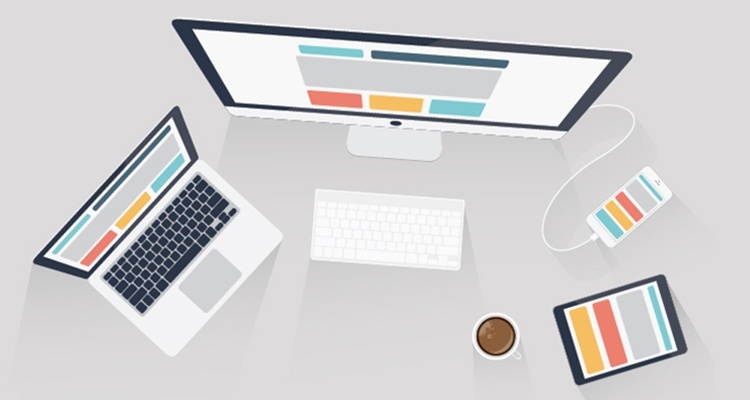 Test your website on as many devices as possible before going live to make sure the experience is consistent and user-friendly on all devices. Is Your Site Truly Mobile-Friendly? 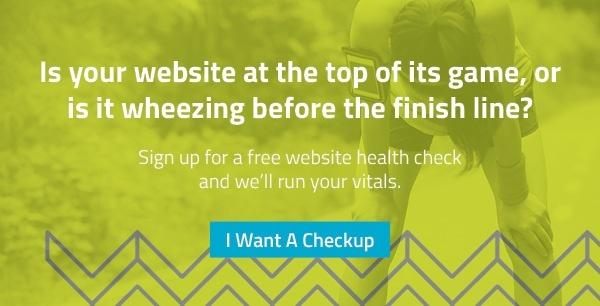 Sign up for a FREE Website Health Check. We’ll run through vital stats—like site speeds, page optimization, inbound links and more—to uncover areas of opportunity and keep your site in tip top shape. Editor's Note: This blog post was originally posted in May of 2017 and has been updated with fresh content.